Today is the last day of Sarcoma awareness week here in the UK. 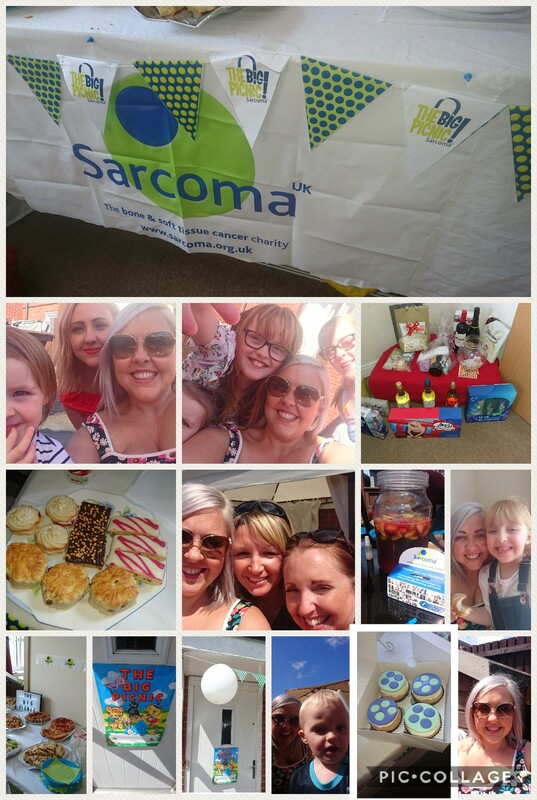 Sarcoma UK wanted people to hold a picnic to raise money and awareness. We did just that. My sister Sue hosted a picnic in Bury. There were sandwiches (not cucumber ones I’m pleased to say!) snacks, cakes and pimms. Lots of people turned up for a lovely afternoon in the sunshine, having a good time and raising money. We raised £250 which we will be donating to Sarcoma UK. Thanks to everyone who made today a great day especially Sue and Pete.